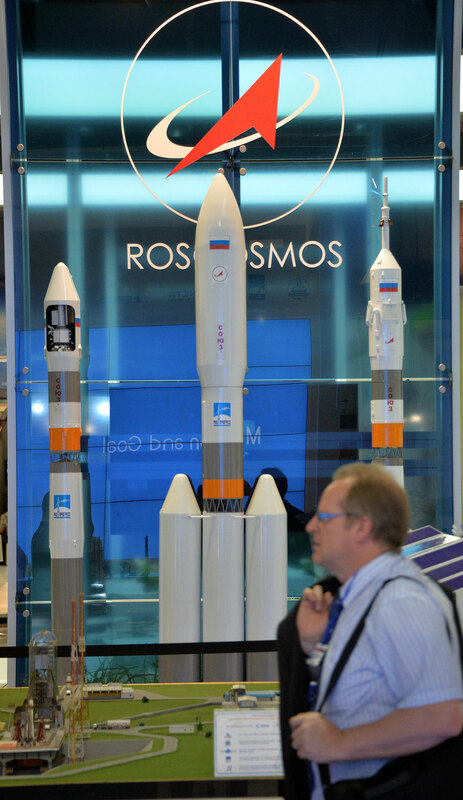 Roscosmos will not display its exposition at the Farnborough aerospace show this year, yet a delegation of the state corporation will visit the United Kingdom. "An official Roscosmos delegation will be sent, but we will not display our exposition at the show this year. Nevertheless, a joint pavilion of our enterprises will open at the ILA Berlin Airshow in Germany, which begins in early June," Roscosmos spokesman Igor Burenkov told Interfax. The non-participation of Roscosmos in the Farnborough show will not be critical for the rocket and space industry, he said. "Exhibitions of the sort are presentation floors. Contracts are not concluded there, they are prepared in advance and are signed from time to time. We are still maintaining close contacts with our foreign partners, our interaction is reliable and solid, and we are absolutely not abandoning it; quite the opposite, we preserve productive and good relationships," Burenkov said. A representative of Roscosmos told Interfax earlier that the state corporation would take no part in the Farnborough 2016 aerospace show in the UK. The decision of Roscosmos not to take part in the aerospace show, which will be held in the Hampshire county on July 11-15, has been also reported by Izvestia. The newspaper said the plan of the corporation's engagement in international events envisaged the construction of a joint stand for spacecraft manufacturers. Read more: Who buys Russian weapons?